Workers are starting to peel the exterior walls off the former Bulova building at 101 N. Queen St.
On East King Street, excavation and foundation work is underway for the expansion of Fulton Financial’s headquarters. Directly across the street, the second tower of the Lancaster Marriott at Penn Square is taking shape. How much more parking does Lancaster city need? To help determine an answer, the Lancaster Parking Authority is commissioning the city’s first parking study in 17 years. The plan is to look at key neighborhoods and commercial corridors as well as downtown, taking inventory not just of public parking but of private lots and garages, too — in short, “all available space,” authority Executive Director Larry Cohen said. Parking isn’t the most glamorous topic. But for a city’s government, residents, businesses and visitors, it’s among the most important. Too little will stymie vitality and growth. Too much will waste resources. The trick, of course, is to provide the right amount — but in a growing, changing city, that’s a moving target. The city’s previous study was conducted in 2001 by Walker Parking Consultants. It called for an additional 2,300 parking spaces to support projected development, including the Lancaster County Convention Center and neighboring hotel. The city has achieved that total and then some. City Hall is committed to dealing with parking not in isolation, but as part of a comprehensive transportation strategy, he said. To that end, the study will factor in “current and future transportation alternatives,” such as ride-sharing, public transportation, and self-driving vehicles. The authority expects to choose a consultant and finalize the scope this summer, Cohen said. The study itself should be done by the end of the year. Many people find it hard to believe that Lancaster could be facing a parking shortage. How can that be, they ask, when it’s easy to find empty spaces, or even fully empty decks, most weekdays? Much of the debate has centered on one project in particular: the 290-space garage proposed for Lancaster Square. The city says it’s needed to support the square’s redevelopment, and that it will be full from day one, thanks largely to demand from 101NQ, the mixed-use project being created out of the former Bulova building. Critics say there’s abundant parking nearby, and the property could be put to better use. An online petition opposing the garage garnered nearly 450 signatures earlier this year. What people tend not to account for, according to Cohen, is that parking ebbs and flows. Leaseholders take vacations and sick days; transient parking increases and decreases depending on downtown activity. If parking were routinely at full capacity, even slight bumps in demand could leave dozens or hundreds of would-be parking customers with nowhere to go. As it is, the authority routinely “oversells” space, knowing that statistically it can count on a certain percentage of spaces being vacant. Most of the system’s garages can be safely oversold by 25 percent; as of January, the actual oversell rate was around 11 percent. A lack of spare capacity also makes it more challenging to replace a garage — a concern given Lancaster’s aging fleet of structures. Customers need a place to park while the garage they used to use is being rebuilt. Lisa Riggs, president of the nonprofit Economic Development Co. of Lancaster County, served a decade on the parking authority board, stepping down in 2015. “I absolutely agree with Larry (Cohen) that there is a limited inventory available and the market is tight,” she said. It’s true that new technologies like ride-sharing and autonomous vehicles have the potential to ease future demand for parking, said Mark Vergenes, who recently stepped down as the authority’s chairman. But the change is more incremental than people may think, Vergenes said. Widespread adoption of self-driving cars, in particular, is still far off. In the meantime, parking authorities have to plan for the near future, which doesn’t look that different from the present. Tom Baldrige, president and CEO of the Lancaster Chamber, said he believes downtown can accommodate more parking without compromising Lancaster’s livability or walkability. Planners have learned how to integrate garages into streetscapes without ruining them. 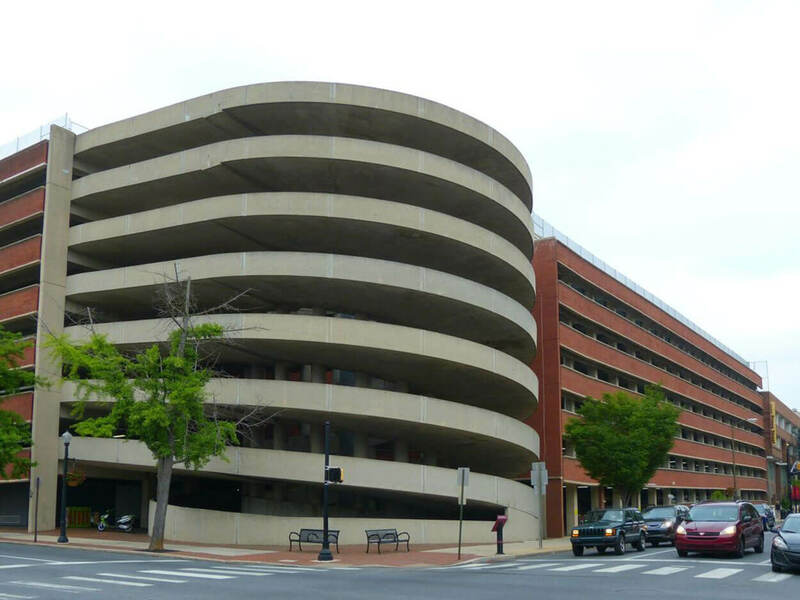 The East King Street Garage is a good example of what he termed the “new school” of parking design, as opposed to the “old school,” approach that cleared entire blocks for drab, utilitarian structures. Adding enough parking to support ongoing economic growth should be fully compatible with preserving Lancaster’s character, he said. “I don’t think that that’s impossible,” he said.